When they ask me, “What do you want to see in Capri?“, The first thing I answer is: the Faraglioni! These are three majestic rocks that emerge from the sea, representing the island’s symbol and make it a truly enchanting place. Numerous tourists come from all over the world to Capri to dive in its clear waters and the colors accessed, but especially to admire the famous Faraglioni closely. Without any doubt, if you want to admire these wonderful three rocks, you’ll have to take it off the sea, starting with a boat ride. 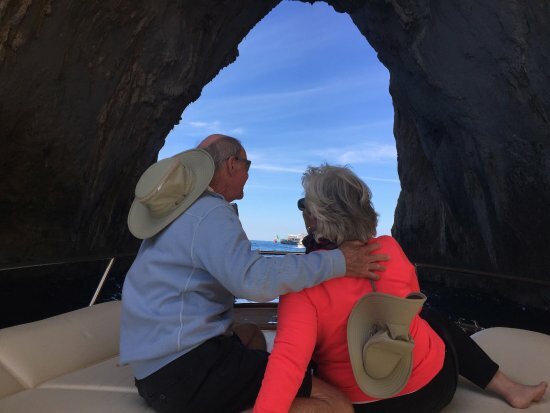 The boat passes, in fact, under the arch of the Faraglione in the middle and if you are in sweet company you will have to exchange a kiss: say you bring luck! If you want to have a nice swim at the foothills of the Faraglioni you can choose between the two bathing establishments that are just opposite: La Fontelina and Da Luigi. 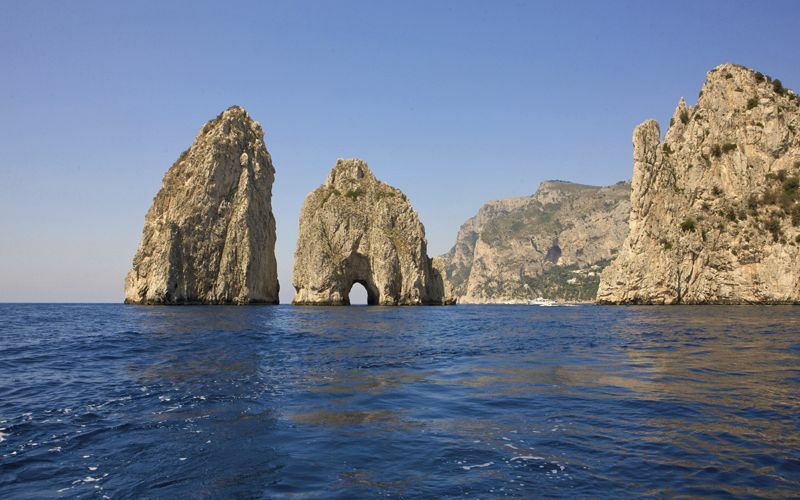 The height of the Faraglioni of Capri is around 100 meters. The first stack that is joined to the coast is called Saetta and is the tallest (about 109 meters), the middle stack that is famous for its central cavity is called Stella (Star), while the third is called Scopolo and is a small natural habitat of the well-known blue lizard. Perhaps you do not know that there is a fourth faraglione that is not far from the first and it takes the name of Monacone, since in the past it was possible to see specimens of mediterranean seal. 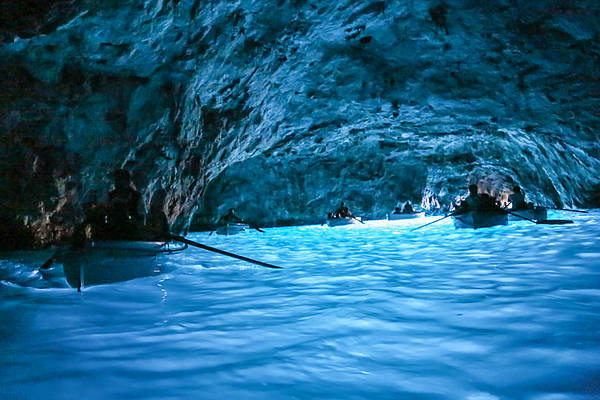 Your boat ride can not end without seeing the enchanting Grotta Azzurra (Blue Grotto), but be careful: to get in there you will have to lie down, due to the small size of the cave. Once you enter, you will see only darkness at first, but you will suddenly see an explosion of blue and transparent reflections while the eclipse of Neapolitan songs resounds between the stone walls. 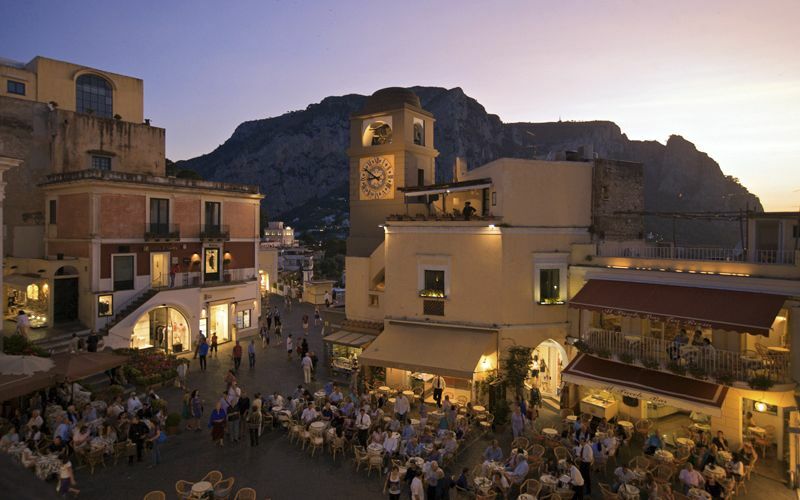 Capri, however, will also catch you for the beauty of its center, represented by the characteristic Piazzetta, defined as its small size and center of the town movida, where you can sip a refreshing drink and find yourself as a table near a character in the world of entertainment . Experience a unique and magical experience in the enchanting Capri where you will feel like touching the sky with your finger!